Once we had packed up and got ready to get on the water, we headed to the bay in Selima to start our journey. With some rough water out at sea we knew the first part of the journey would be tough . Heading east out of the bay we experienced quite harsh conditions meaning that we were on our knees for most of the time on the board . Being fully loaded with kit makes the board pretty unstable and slow , but we were in high spirits and making progress . 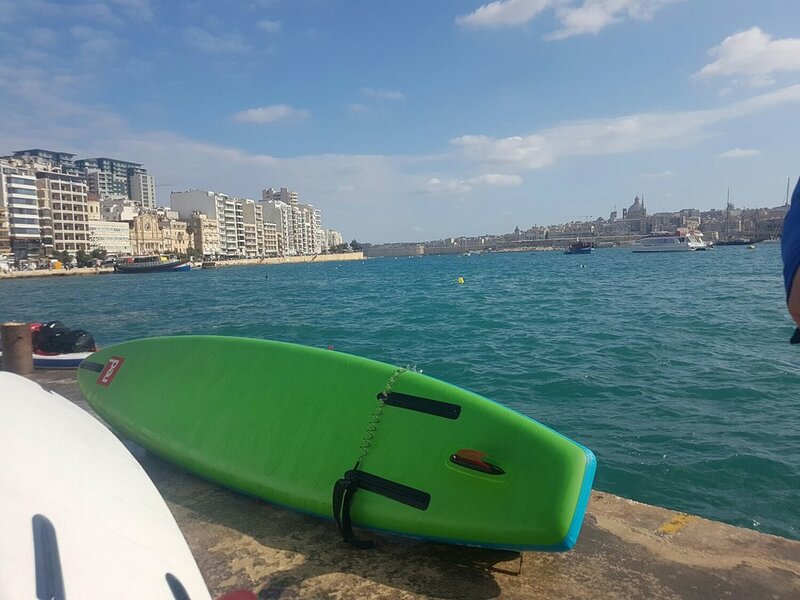 We pulled into the port in Valletta quite late in the day for lunch and to reassess how far we actually felt we could go on the water that day . After an early night and an incident with a slug on my face in the middle of the night we set off at first light determined to make a bit more distance. 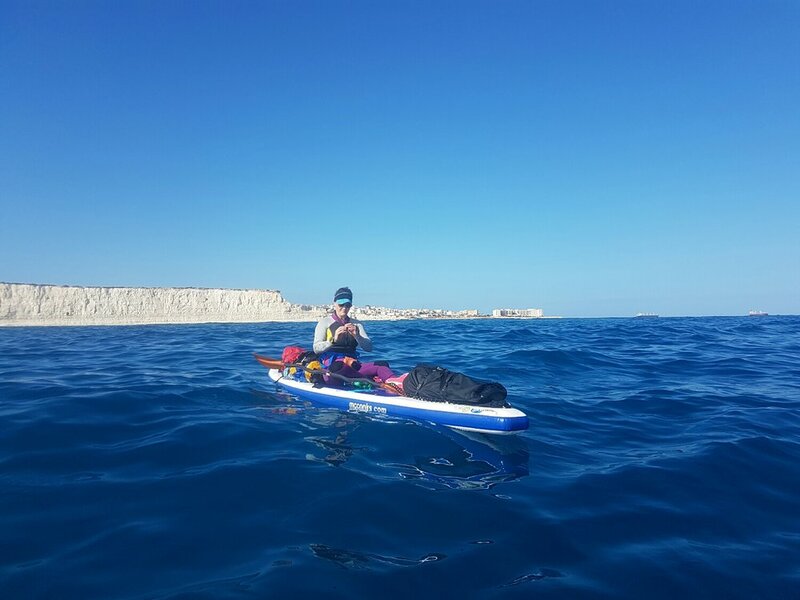 With the south side of the island coming up , our knowledge is that there will be limited places to stop and resupply , so we stopped in Marsaskala Bay . After gathering enough water and food for the next few days , we pushed on further , hoping to get about another 8km further into our journey . With George keeping our spirits high with some tunes on her whistle we kept moving and made it to Marsaxlokk Bay and set up camp .